Safety is the natural gas industry's top priority. The pipeline infrastructure, which includes 1.4 million miles of natural gas pipeline, is the nation's safest energy delivery system, according to U.S. government statistics. Together, gas utility and pipeline companies spend billions annually to ensure that natural gas is delivered in a safe and reliable manner. The rate of incidents in the region and nationally over the last decade and more has been declining, at the same time that the number of customers and pipeline mileage on the system has increased. 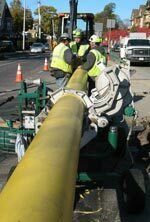 Natural gas utilities in the region have procedures in place, overseen by federal and state agencies, to reduce the occurrence of system incidents. The Interstate Natural Gas Association of America (INGAA) notes: "Pipelines are the safest way to move large amounts of energy. 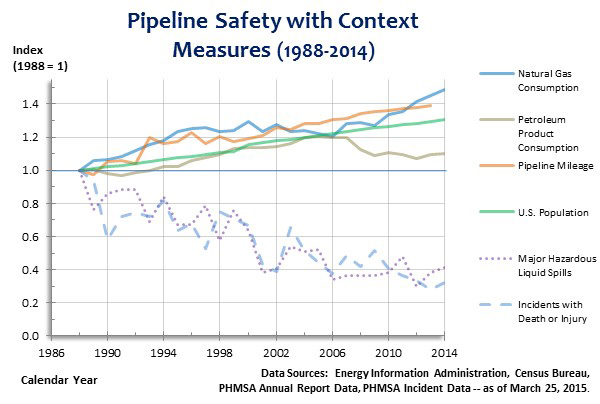 While all forms of transportation have risks, pipeline safety is continually improving, thanks to government regulation and industry initiatives. The three main causes of pipeline leaks are corrosion, material/weld flaws and excavation damage. Data collected by the Department of Transportation's Pipeline and Hazardous Materials Safety Administration show that the frequency of leaks from all causes are decreasing." To address system safety, the National Transportation Safety Board (NTSB) has issued new recommendations for pipeline systems, and the U.S. Department of Transportation (DOT) has announced several steps regarding pipeline safety. As new technologies are developed in pipeline design, construction, inspections, and operations, the industry will continue to invest in pipeline integrity programs that will allow for the safe and secure delivery of natural gas. The industry works with emergency responders, state and local agencies to prevent and prepare for emergencies through training and periodic drills. These exercises test procedures, logistics, communications and more. Emergency plans and procedures are periodically updated and made available to state authorities. The natural gas industry is committed to greater safety awareness among its customers, its workers, and the general public. 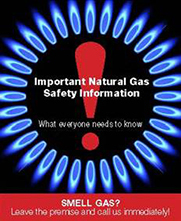 NGA has on its home page a link called "Gas Safety Public Awareness" which contains information on a Regional Public Awareness and Education Program adopted by members of the Northeast Gas Association (NGA). It is intended to increase awareness about pipeline operations, emergency response, and damage prevention. The site includes links to participating member utility companies while offering coordinated information on natural gas safety issues. "Being Nosey Can Keep You Safe"